A few weeks ago I was at a dinner for the kick-off to a three-day program in New York City I attended called Age Boom Academy, whose theme was Global Aging: Danger Ahead? Our dinner speaker was John Beard, director of the World Health Organization (an arm of the United Nations) Department of Ageing and Life Course, and the question he posed to all of us was: "What is old?" It made for some lively conversation. He pointed to himself as a case in point. He's 60 and his employer has a mandatory "age of separation," or retirement, of 62. He also told us that he has a son who is 1. We all murmured and shook our heads. Beard, I can assure you, does not look, act, or sound old or anywhere near ready to be put out to pasture. So here's my question: What's the deal with mandatory retirement? In 2015! Let's face cold facts. People 60+ comprise nearly one billion of the world's population and will total 2 billion by 2050. As more of us move into our sixth decade and beyond, many of us are going to need to and want to keep working — to stay financially secure, engaged and feeling relevant. All of those elements contribute to our good health, physical and mental. In the United States, mandatory retirement policies are actually illegal for most professions, though that's only been true fairly recently. In the early 1970s, about half of all Americans were covered by mandatory-retirement provisions requiring they leave their jobs no later than a certain age, usually 65. In 1986, Congress abolished mandatory retirement by amending the Age Discrimination in Employment Act. A few fields, however, are exceptions. Certain occupations that are either too perilous — such as military service or federal law enforcement agencies — and others that demand high levels of physical and mental skill (like air traffic controllers and commercial pilots) generally still have mandatory retirement policies. Some large and mid-size accounting firms also require their partners to retire at a certain age. (My editor's CPA was forced out due to his age not long ago, despite being perfectly competent.) And many states require judges to retire at 70 , 72 or 75. Interestingly, the medical profession — despite the need for up-to-date technical skills that may be essential to proper patient care — doesn't have any mandates. That said, in a vote at its annual meeting in June, the American Medical Association (AMA) agreed to develop guidelines to assess the physical and mental health of older physicians and review their treatment of patients. One-fourth of U.S. doctors are now older than 65, according to the AMA. All doctors, though, must meet state licensing requirements and some hospitals require age-based screening. But even when mandatory retirement is not in place, it still lurks. "For example, investment bankers and others in finance often are forced out of their jobs in their early 50s," said Dr. Phillip Pizzo, former dean of the Stanford University School of Medicine and founding director of the Stanford Distinguished Careers Institute. "Many lawyers now have contractual agreements that lead them to conclude their partnerships by 60," he told me. In other countries, mandatory retirement is still rampant — especially for workers in the public sector and academia. 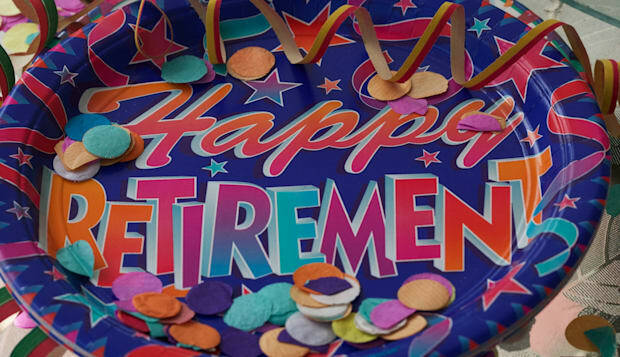 Does Mandatory Retirement Ever Make Sense? So when does it make sense for someone to age out of their profession? At Age Boom Academy, Beard told us when he tries to answer the question of what is old, he, too, has difficulty providing an answer. The link between chronological age and the health and functional status of an individual is tenuous at best, he concluded. As Beard wrote with David E. Bloom, a professor of economics and demography at the Harvard School of Public Health, in an article for The Lancet: "The variations in functioning linked with ageing are neither smooth nor well defined...in many parts of the world, policy often seems to assume a division of the life course into a series of stages that is based on chronological age and social roles — typically student, working age, and retirement — that have little physiological basis....but are exacerbated by ageist stereotypes of frailty and mental diminution." And that policy is rubbish. I know people nearing 80 who are actively working in demanding jobs. I marvel at their energy and smarts, but they're not flying commercial aircraft or operating on someone's heart. I tend to favor the notion that each of us will decide when it's time to hang it up. The recent announcement by Garrison Keillor, who's approaching 73, that after next season he will no longer host his A Prairie Home Companion public radio show is a good example of that thinking. Keillor said he screwed something up in a broadcast and that he didn't want age-related trip-ups to to become a problem. Intrigued by this issue, which will become increasingly important as lifespans increase, I asked Pizzo and Paul Irving, chairman of the Milken Institute's Center for the Future of Aging and editor of the thought-provoking book The Upside of Aging, for their views. "Issues about retirement, mandatory or not, coupled with perceptions of ageism, are in a state of evolution that will likely unfold over the next decades," Pizzo said. While he is no fan of forcing someone to retire, Pizzo believes some professions should have safeguards to monitor their practitioners' skills. "I do think there are positions which engage public safety, individually or collectively, where regular assessments should take place to assess whether an individual should modify or terminate her or his work," he said, including his own profession of medicine. Pizzo quickly added that while he is not in favor of a mandatory retirement age for physicians, he does think it's important to ask or even require doctors to be assessed for cognitive and technical capacity — especially as they age. And even if the employer doesn't do the pushing, Pizzo added, "the reality is that most employers, public and private, still cling to old views about aging employees and still seek ways to encourage, entice or force their transition." His overarching conclusion: What we value as a society needs upending. "We have not reached the point where respect for wisdom is valued as much as respect of perceived vigor of performance," Pizzo said. "That is where the real need for change is — but it will take time to accomplish and it won't be altered by renderings on mandatory retirement per se." Irving was more forthright on the issue of retirement policies whether they are mandatory or implicit. "One-size-fits-all rules, be they around race or gender or age, are just wrong. They need to be gone," Irving said. "I think testing for capabilities, testing for capacity, testing for talent, ongoing monitoring of effectiveness — all of that is fair. And all of that should happen in a range of fields whether it is in construction work or education. But the notion that someone should be disqualified to work based solely on their age is wrong." Irving is hopeful that change is coming. "Leaders in business are beginning to appreciate that older workers retain unique values, skills, wisdom and judgment and are recognizing, frankly, that the intergenerational teams and workforces may be the most powerful workforces of the future," he said. His concern: "It is not happening fast enough. We have rapid aging not just across the United States, but across much of the world, and these policies and practices are changing too slowly." Maybe, he thinks, if we can convince the younger generations that it is in their best interest to get on board the older-workers wagon, change could happen faster. "If we don't address this now in the world of increasing longevity, what models are we establishing, what precedents are we reinforcing that will affect future generations even more dramatically because of the prospect of their longer lives?" he asked. And that's a message Irving carries to college campuses where he frequently speaks to students. "We have longevity scientists working on potentially dramatically extending lives. And yet we haven't thought about how do we change work norms that would be associated with these much longer lives," Irving noted. Until then, what should you do if you think your employer has a retirement date in mind for you? "I think we need to encourage more bravery by individuals to return to school," Irving said. "We need to make sure university environments and similar environments are more welcoming and accommodating to older people who want to refresh skills and learn new things. We have to encourage people to explore pathways to new careers." If we enable learning and working at a later age "and encourage and celebrate it, what may seem to be revolutionary today may simply be the social norm a generation from now," Irving said. "Our conversations will be about not what did you do yesterday, but what did you learn today and what do you want to learn tomorrow?"